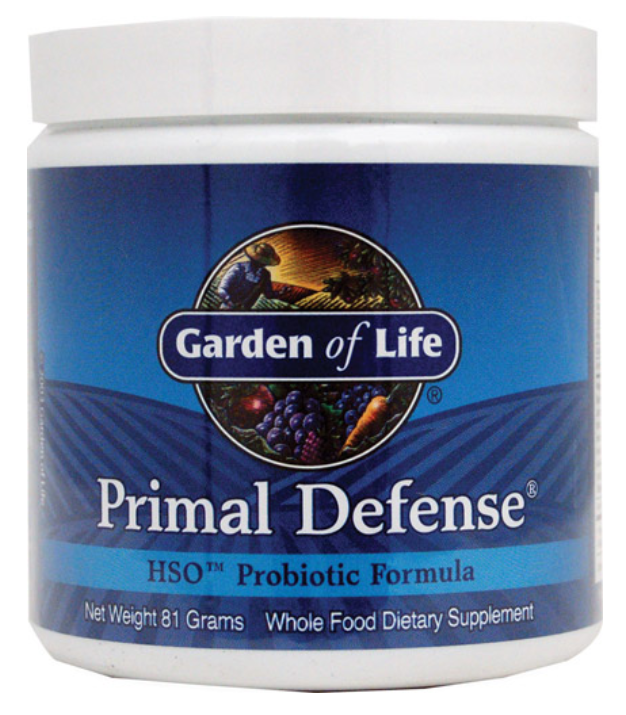 Bacillus subtilis: Soil Organism or Probiotic? Or Both? Bacillus subtilis means thin and rod-shaped and it was first discovered in the 1870’s. It is one of the best-characterized species of all the Gram-positive bacteria. Like other Bacillus species, it forms endospores when conditions are not favorable. It is able to grow well in oxygenated environments but can adapt to low-to-no oxygen. It is able to propel itself with flagella, whip-like appendages, found around its body. Studies show that there is a high genetic variety in B. subtilis even in strains harvested from the same source. Some strains are capable of producing toxins. 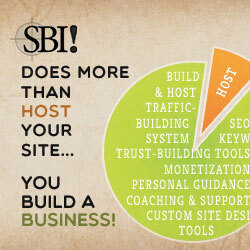 Some products have listed “B. subtilis” on their labels when in fact they were another Bacillus species known to produce toxins such as Bacillus cereus. This is because the B. subtilis classification has undergone changes over the years. Bacillus subtilis, in general, stimulates the immune system, but this effect has to be determined on a microbe-by-microbe basis. 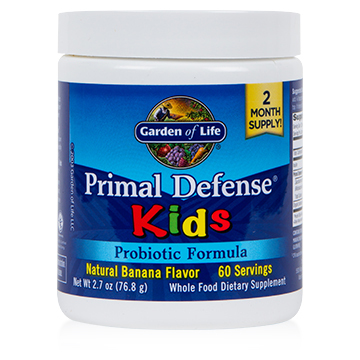 While this may be beneficial for intestinal immune-system development, it may not be a desired characteristic universally. B. subtilis is thought to have a weak ability to cause disease in humans unless the number of bacteria a person consumes is very high or the immune status of the person is very low. 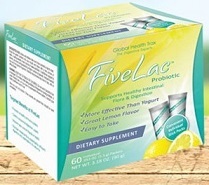 Concerns about Bacillus probiotics in general are covered here. NOTE: Probably due to the possibility of any virulence, NO Bacillus subtilis strain has GRAS status as of March, 2015 in the US. Some sites claim theirs does, but do not believe it as it is NOT true. Some enzymes produced from B. subtilis have GRAS status, but the bacterium itself does not. B. subtilis has been granted QPS (Qualified Presumption of Safety) status by EFSA (European Food Safety Authority) for certain applications in animal feeds and for vitamin K2 production for foods and supplements consumed by humans. Some strains are used as controlled pharmaceutical agents in Asia and are accepted in the Ukraine, Russia and Italy in products such as Biosporin, Lactipan Plus and Medilac-Vita. Other products labeled as containing B. subtilis may in fact have other species. What is B. subtilis Used For? 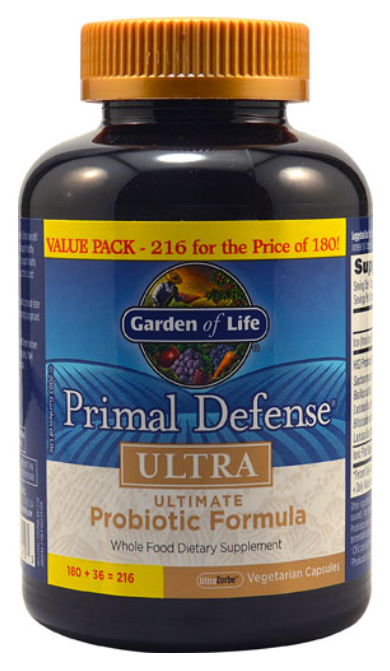 What is the Probiotic Potential of B. subtilis? Where Can You Find Bacillus subtilis? Garden of Life says that their strains are proprietary. They did reveal that they are non-dairy strains. This supplement contains a number of unconventional species. 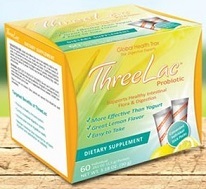 This supplement contains a proprietary blend of ingredients. 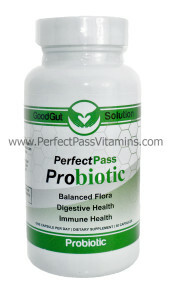 Perfect Pass Probiotic (the link will take you to my review of the product), which contains Bacillus subtilis HU58. 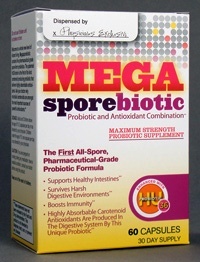 MegaSporeBiotic (the link will take you to my review of the product), which contains B. subtilis HU58.